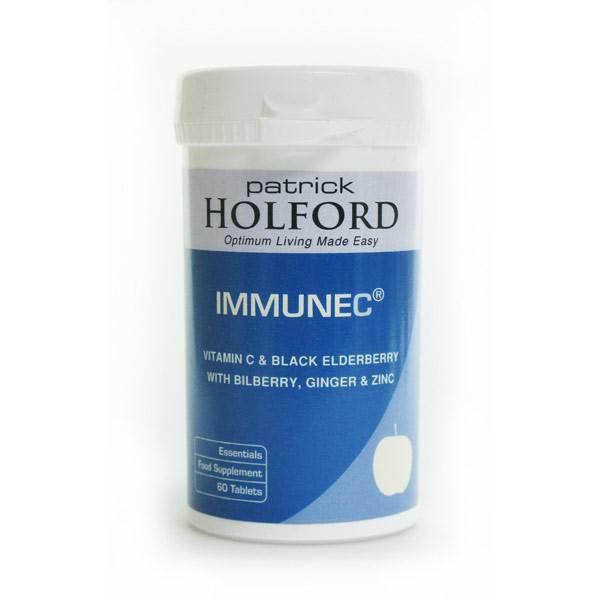 Immune C is a specific immune support providing potent Antioxidants ingredients. Contains optimum amounts of vitamin C & zinc along with extracts of black elderberry & ginger. BioCare Vitamin C and Black Elderberry with Bilberry, Ginger and Zinc. ImmuneC contains optimum amounts of the vital nutrients vitamin C and zinc, which support the body’s natural defences. Plant extracts of black elderberry and ginger may also assist immune function. If you are under medical supervision, please consult a doctor before use. Amounts greater than 1000mg of vitamin C may cause mild stomach upset in sensitive individuals. Vitamins are vital for human life because they play integral roles in hundreds of life-sustaining biochemical reactions. Vitamins are the catalysts for all reactions using proteins, fats and carbohydrates for energy, growth and cell maintenance. Certain nutrients are required in excess of the typical amounts supplied in the diet depending on specific nutritional needs. Consuming dietary vitamin and mineral supplements may help play an important role in maintaining good health. For the most part, vitamins cannot be produced in the body and must be supplied through the diet or vitamin and mineral supplements. Unfortunately, human beings - unlike most other animals - cannot manufacture vitamin C. Nor can they store vitamin C to any appreciable amount. Instead, the kidneys, acting as regulators, excrete vitamin C causing the need for regular replenishment. In addition, vitamin C is destroyed during food preparation. Vitamin C's primary function is to help maintain collagen, a protein necessary for forming skin, ligaments, bones and teeth and for helping to maintain the strength of blood vessel walls. High levels of vitamin C are also essential for the metabolism of white blood cells, which are critical components of the immune system. In addition, vitamin C plays an important role in the absorption of iron, which is necessary for the formation of red blood cells and in the utilisation of folic acid, one of the B-complex vitamins. Bioflavonoids work together with vitamin C to build strong capillaries and serve as antioxidants and as anti-inflammatory agents. Minerals are the inorganic elements which comprise part of the body. They contribute from 60% to 80% of all the inorganic material in the human body. The trace elements make up the remainder. Minerals and trace elements serve as vital catalysts for the biological reactions that take place within the body. They are found, for example, in bones, teeth and soft tissues. They are needed for the production of blood, hormones and enzymes, thus serving a life sustaining function. The absorption of minerals and trace elements (excluding electrolytes) is generally less efficient than that of other nutrients. The term "bioavailability” refers to the degree to which a particular nutrient is available for use in the body. There are many factors which influence bioavailability including the compound form of the mineral or trace element. Zinc is an essential trace mineral, important to help support the immune system. It is also a component of insulin, body fluids, and many enzyme systems.